The client is a leading utility solutions provider serving over 780 water, electric and gas utilities worldwide. It offers a comprehensive suite of solutions comprised of edge devices & meters, consumer engagement software, advanced metering infrastructure (AMI), provision of labor and installation services to utilities. The company helps utilities to harness data and cutting-edge technologies to supply reliable services to their end-consumers. With the re-engineered SIS solutions, Utilities can now move beyond legacy applications to a more real-time, modern solution; that can be deployed on Cloud or on-premises. The solutions now provide greater visibility into distribution networks, offers fast manageability capabilities, and delivers actionable insights for Utilities and their customers to better conserve energy. The client's Smart infrastructure solutions (SIS) run on legacy systems and uses automated metering infrastructure (AMI) technologies. These solutions integrate many software, hardware and data technologies from sensors, intelligent software, and grid edge devices to collect data. Different applications and different screens meant a complex task for the CSR to manage and handle distribution networks as well as customer queries. However, its utility customers had a constant urge to update their legacy applications with modern functionalities, which would help them improve operational efficiency. They wanted an increased visibility into their distribution networks and required load-management programs in order to improve smart grid quality. And, their consumers demanded faster responses to outages and more control over their utility usage. So, the utilities needed an integrated solution that offers complete visibility and control to monitor millions of distribution lines, which connect homes and businesses, while reducing costs, improving reliability & engaging actively with customers. To revamp the existing SIS solutions and integrate new functionalities like load control and distribution automation, the client was fervently looking for a partner, who has utility domain knowledge as well as technology expertise. Due to Saviant’s vast experience working with various Utility service providers, the client has chosen Saviant as their strategic partner to re-engineer their SIS solutions. Collect and harness the power of smart meters, edge devices and data to meet today’s challenges. Identify and locate outage-causing faults to get customers back on line faster. Control load fluctuations from increased demand, aging infrastructure, renewables and distributed generation. 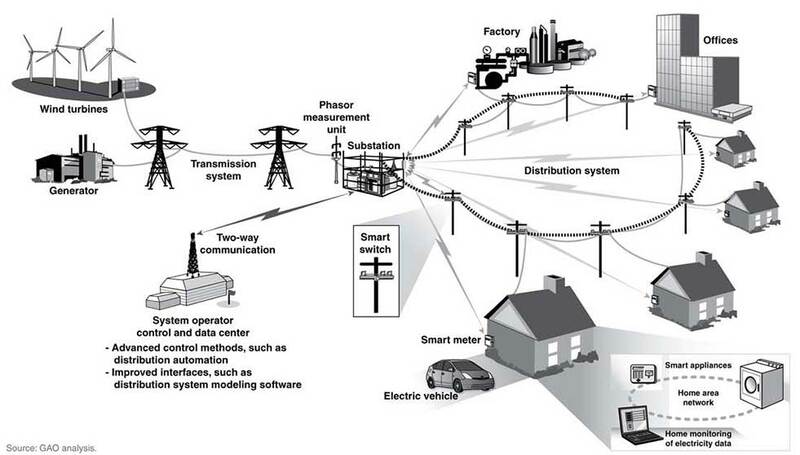 Improve reliability and decreases the risk of blackouts and brownouts caused by aging infrastructure. Understand when circuits may be overloaded and quickly respond with corrections and managing voltage levels on feeders to reduce loads and conserve energy. The revamped Smart Infrastructure solution helps the CSR to work in efficient manner. The turnaround time for the customer queries was also reduced. With the help of outage detection feature, the uptime for the substations were increased. Managing voltage levels on feeders helped conserve energy as well. All this eventually resulted in higher customer satisfaction. Check out how a fast-growing Manufacturing & Water Utility company smartly addresses smart metering challenges with a highly scalable solution that connects 500,000+ smart meters and processes over 250 million transactions per year. Read how enterprises are driving business growth by gaining quality insights through connected IoT based data-driven solutions using Microsoft Azure IoT and Analytics services. Connect with our Expert, today!